Vitamins & MineralsScitec Essentials Selenium - 100 tabl. 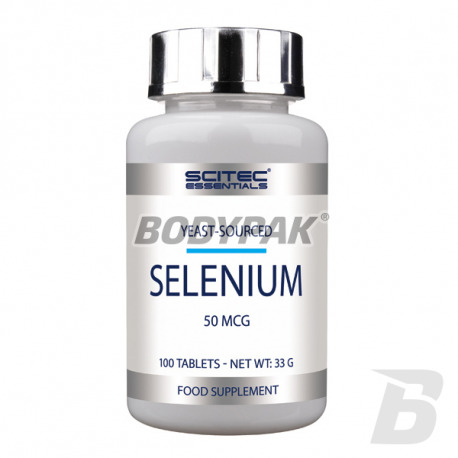 Scitec Essentials Selenium - 100 tabl. Top-quality selenium derived from yeast. A strong and effective antioxidant, supports the immune system, prevents formation of cancerous changes. The perfect complement to the diet of any athlete and all active people. 13 loyalty points Your cart will total 13 points that can be converted into a voucher of 0,52 PLN. 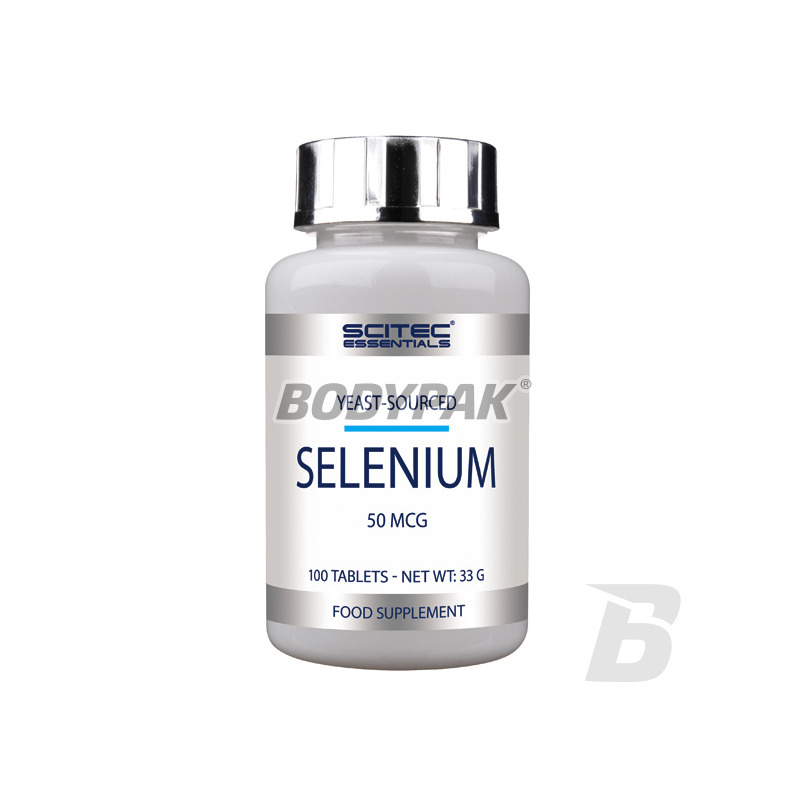 Trace element selenium, which is a powerful antioxidant that supports the immune system and may contribute to recovery. The most important role of selenium - Scitec ingredient Selenium is involved in the production of an enzyme that protects cell membranes from free radical damage. The appropriate level of selenium should take care especially in winter and during periods of reduced immunity, when swarming with bacteria and viruses. 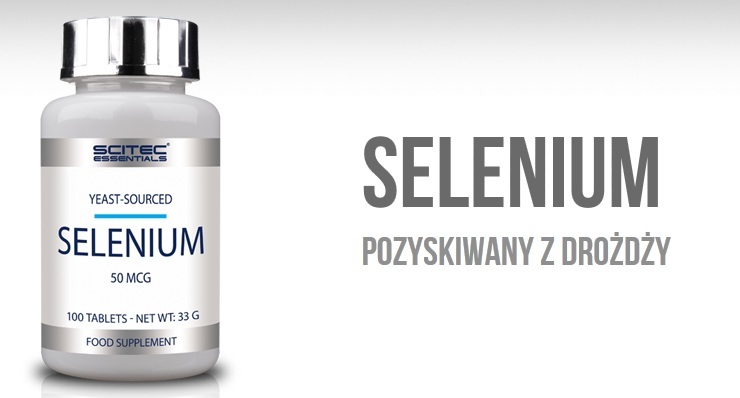 Scitec Selenium protects the immune system, defending us against bacteria and viruses. Moreover, it has anti-inflammatory activity, and therefore helps in the treatment of chronic diseases such as rheumatoid arthritis and lupus. Selenium contained in the American health-oriented preparation Scitec Selenium is a trace element that plays a very important role in the human body - part of enzymes that protect cells against the harmful effects of free radicals. Using Selenium can ensure proper operation of the immune system. Selenium is also a potent antioxidant, which is extremely important at a time when the quality of the soil deteriorates, and the environment is becoming more and more polluted. If you add to this the amount of preservatives in food, and stress and smoking - selenium supplementation will be necessary. Selenium not only improves the overall functioning of the body, but fights free radicals and prevents cancer. Who is the inexpensive supplement containing selenium-class Scitec Selenium? Selenium supplementation is an ideal way to supplement the diet of any athlete, active people and are exposed to an increased need for selenium or suffering from selenium deficiency. * These statements have been scientifically proven and have been authorized by the European Food Safety Authority (the European Food Safety Authority). From 1 to 4 tablets per day. Cena bardzo atrakcyjna jak na produkt tak wysokiej jakości!